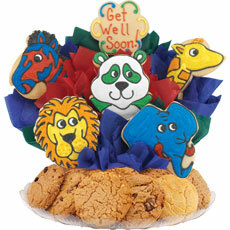 Send get well "zoon" wishes decorated by hand and created to spread cheer. Other cookie message ideas, "It's a zoo without you!" or "Get Well Zoon!" We make every day a special day. Upon entering our shoppe you will smell fresh baked gourmet and sugar cookies. We make our dough in our shoppe from the freshest and finest ingredients. With a selection of at least 15 delicious flavors each day, you are certain to find a favorite. Decorated sugar cookies are always available in seasonal designs for a quick gift or special treat. Our mini decorated sugar cookies are perfect for all occasions. 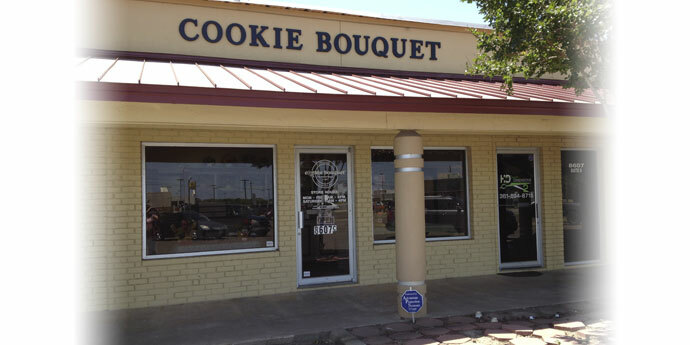 Order your cookie bouquet, gourmet basket, or party favors in advance so we can make them to your exact specifications. 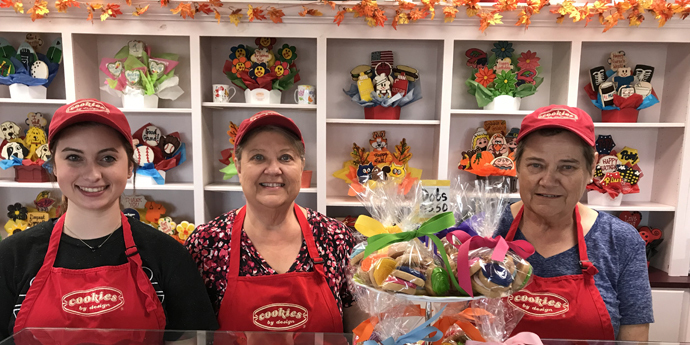 We love seeing the smiles that our cookies are guaranteed to bring to your face. We appreciate your business!